For the latest insights into transforming B2B businesses and brands, sign-up to get notified of new articles, and to receive the Avenue newsletter. Ensure an optimal outcome for your rebranding efforts. Building and maintaining a strong brand requires constant monitoring and nurturing. How to avoid mixed messages with a cogent B2B messaging strategy. Is your B2B customer's loyalty at risk? Keep customers from walking by bringing alignment to the brand experience. Insights on the difference between rebranding and repositioning, plus a look at a unique process for achieving real transformation. Bob Domenz interviews three other experts on how to turn change into profitable growth in B2B. Two global CMOs and a leading professor discuss how to guide innovation as a growth driver. How to approach innovation, and where to look for marketplace insight and inspiration. Is your organization fully prepared to execute a rebrand? Fixed or fluid: Which brand management approach is right for you? Are your company and brand on a path to stagnation? Strategies for avoiding organizational swirl. Do your employees get your strategy? Hint: 70% of them don't. Six ways you can close the gap. The age of logos gives way to complete customer experience. 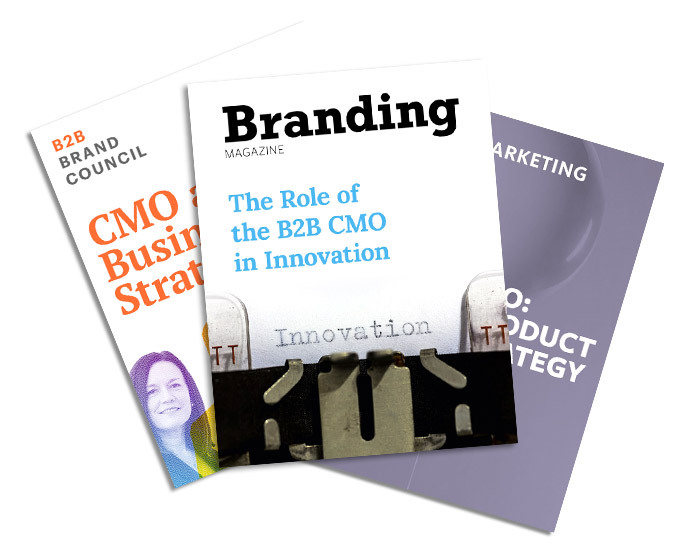 How CMOs can make the business case for branding.